It’s funny, the things which never occur to you. 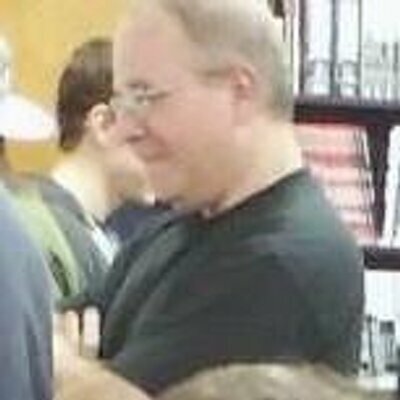 I’ve read Zippy the Pinhead comic strips and stories since the 1980s, amused by creator Bill Griffith’s absurdist humor and off-kilter view of society. 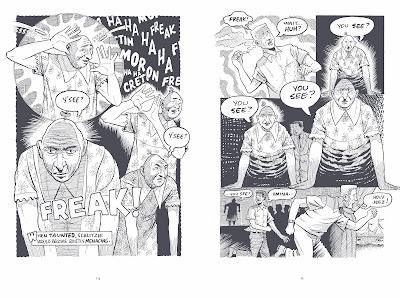 Comic strips generally represented a normatively conformant kind of art, reinforcing the societal status quo and not challenging its foundations. Griffith, on the other hand, exposed the shaky roots of modern American conformity by showcasing the absurdity of modern American thought. Griffith’s Zippy presented a worldview that was just plain weird and was imbued with a kind of counterculture anger mixed with old-fashioned preposterous whimsy. But as I enjoyed the themes Griffith presented, and as I appreciated reading his counterculture leanings on the pages of the daily newspaper and comic book pages, I never really stopped to consider the characters Griffith depicted, not really. Oh, I interpreted the Pinhead at the center of the strip, a victim of Microcephaly, as a proxy for readers. I felt Zippy’s confusion and laughed at his non-sequiturs and odd comments because he represented my own confusion and amazement at the peculiarities of our society. 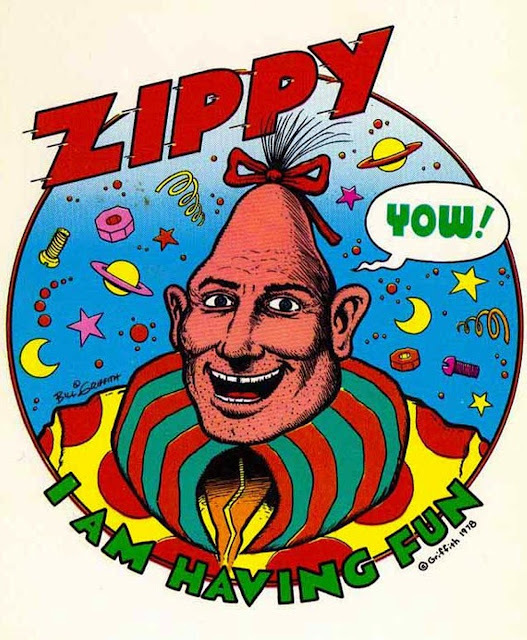 Zippy as a character represented a kind of absurdist societal id. He was a virtual child in a world of complicated sophisticates, lost and contemplating the most quotidian of events. Thus Griffith was able to satirize the fascinating and often bizarre impact of an over-commercialized and strange society, providing a window into the truth behind its own lies. The fact that the central character of the strip was a literal outsider, as different from my happy suburban life as a space alien might be, allowed me the distance necessary to not be troubled by his bizarre appearance. One of the things I found comforting about Zippy was that I didn’t need to think too much about the character at its center. Zippy, the lead character, was a void, a symbol, a surrogate for the reader to see him or herself embodied within. Zippy was unique in that he sometimes seemed more symbol than living character. He inhabited the comics page but, unlike many of his fellow comic strip colleagues, he never came alive on the page. He was never an eternally depressed Charlie Brown nor a haggard Beetle Bailey nor an imaginative Calvin. Nobody was rushing to create plush toys of Zippy or to present It’s a Zippy Christmas, complete with wildly maudlin, conformity-reinforcing Christmas wishes. There was simply nothing like Zippy the Pinhead in American newspapers, and, at its peak (in hundreds of newspapers worldwide), Griffith’s vision had the eyes of millions of readers per day. 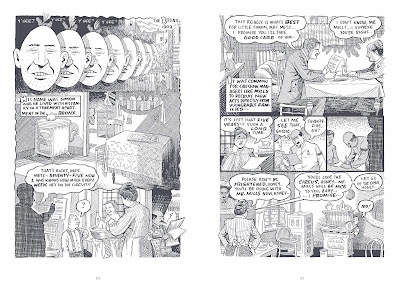 Zippy the Pinhead, a humble American comic strip, approached high art. But at the center of Zippy was a conceit and odd exploitation. Zippy has little agency of his own. He has friends and minders and people who loved him, but Zippy represents Bill Griffith’s inner life rather than his own. Zippy’s own mind and thoughts are mysteries to readers. That void gives his comic strip a strong dollop of humorous tension, but it leaves some crucial issues unresolved upon reflection. Griffith’s new graphic novel, Nobody’s Fool, published by Abrams ComicArts, tells the life story of the pinhead upon which Griffith based Zippy. The new book is a straightforward and truthful depiction of the life of Schlitzie the Pinhead, or at least as much of the truth as Griffith was able to piece together over the years. It’s a biography which serves at least two purposes: to tell the story of this very unique human being, as well as explain why Schlitzie became Griffith’s life-long obsession. 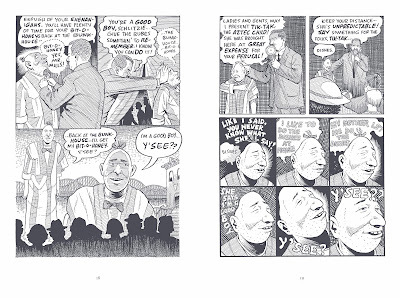 Along the way, Griffith takes readers on a journey through a fascinating lost America, one in which poor and worried immigrant parents could sell their handicapped children to the circus, one in which small-town rubes would turn out in droves for freakshows, and one in which pre-Internet era communications would allow secrets to remain unstirred. The origins of the real Schlitzie the Pinhead are pretty much lost to history. As Griffith discusses in the book, there were several stories about where he was born, from the outlandish freakshow lies that he was born in Borneo to the prosaic tale Griffith depicts of Schlitzie born in a New York City tenement. As Griffith presents the scene, young Bronx-dwelling Simon Metz, a sufferer from the “pinhead’s disease”, was purchased from his desperately poor immigrant family by a sideshow manager. Whether that origin is true or not, it bespeaks of a dark and damaged version of the American experience in which fear of permanent poverty could lead parents to make terrible choices and in which deformity represented a tremendous emotional and financial burden on already burdened families. In an era when children with mental illness were sent to lifelong stays in an asylum, a choice like selling a pinheaded boy to the circus clearly seemed a rational decision. In Nobody’s Fool, Griffith adds to the pathos of the scene of the sale by emphasizing Schatzie's fascination with a plate painted with the image of the Campbell’s soup cherub, a jarring bit of pop culture strangeness which shows his own connection to a mythical America which never really existed. The plate also symbolizes a benign sort of early-20th-century hucksterism which perhaps reached its apotheosis with carnival barkers. The pinheaded boy is soon installed as a slideshow regular at Coney Island, where his cohorts include a bearded lady, conjoined twins, and a man born without arms and legs. He soon achieves a small measure of fame as “the last of the wild Aztec children”, performing card tricks and spouting non-sequiturs in his piercingly high voice. It is in the carny sideshow that Nobody’s Fool spends much of its time, and it is in those moments that I found myself most enraptured in Griffith's story and his subtly powerful art. 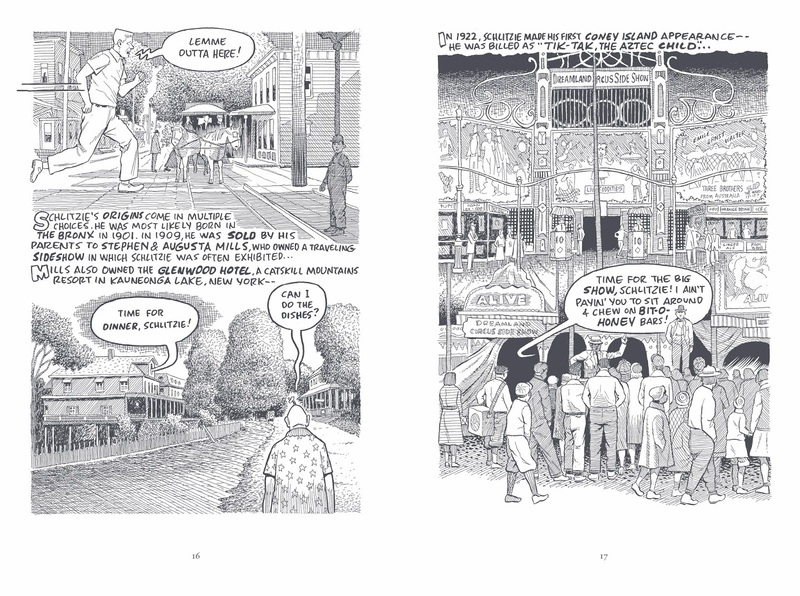 Griffith’s wonderfully crosshatched artwork, itself apparently hand-drawn and reflecting a straightforward approach which reflects its era, brings Coney Island circa 1920 to complex life with seeming ease. In fact, throughout Nobody’s Fool, Griffith is successful at vividly evoking this lost era of tenements and freakshows. He shows readers period-appropriate asylums, carnivals, and graveyards, among many other strange places, but Griffith’s hand-hewn, detailed art never loses its straightforward attention at depicting settings accurately and powerfully. The real fascination and challenge with this book, though, is that the character at its center is basically an enigma even to the people who knew him.. Griffith is skilled at showing emotion in the faces of his secondary characters, presenting angst, anger, amusement, and terror as the scene requires. Even in secondary carnival characters like sword swallower Bill Unks, Griffith seems to find the center of the man and evoke his inner life with a few subtle ink lines. At its center, though, Schlitzie remains tantalizingly out of reach, perhaps in a symbolic recognition of the enigma that the character has always presented in Griffith's art. It’s nearly impossible to read character in Schlitzie’s cryptic facial gestures and body language, let alone his strange verbal tics. In reading these scenes, the reader begins to understand why Griffith treated Zippy as a blank slate. In fact, Schlitzie was basically a tabula rasa and gave Griffith little to build upon aside from his surface attributes and obsessions. Schlitzie walked and talked, loved to wash dishes and perform card tricks, but at his center, he was a cryptic, haunting void which gives this book much of its piercing power. But there is power in that cryptic void as well. Schlitzie’s inability to communicate in meaningful ways helps readers feel distant from the character and see him as a pathetic creature. In that way, we could imagine the exploitation of America’s sad sideshow tradition, in which viewers were encouraged to see the people on display as the other, as almost otherworldly, rather than individuals with whom to empathize. In this book, we are never complicit with the people who attend the sideshows, but we can understand the motivation behind that fascination. In that scene, this book veers from biography to memoir, or perhaps to nostalgic tangent. This instant of awakening is treated as a near-religious experience and clearly has been dwelled upon and fetishized over Griffith’s life. Of course, this moment never has been objectively documented -- such a moment can’t be chronicled objectively - but it matches many interviews I’ve read with him. As he describes his conversion, Griffith draws himself looking directly at the reader, showing a sincere connection through direct eye contact which few characters show each other throughout Nobody’s Fool. In that brief moment, the history of this book shifts from objective to subjective, from a more-or-less cold recitation of events on a person who can’t change to a more-or-less warm depiction of events which change the book creator. It shifts from history to nostalgia and I found that shift is both compelling and frustrating. This scene also sets up a bit of a tonal shift in the book, as the sideshow circuit begins to die by the early 1970s and Schlitzie’s life becomes more difficult and fraught with troubles, including a terrifying trip to an insane asylum which is depicted with great poignancy. Though Griffith tried to research the subject in those pre-Internet days, he was never able to really crack the mystery of the pinheads in Freaks. In fact, in significant ways, that confusion really didn’t matter. A case can be made that too much information would have taken away from the artistic side of Griffith’s approach; that by understanding the life of Schlitzie and his cohorts rather than the actual pinheads, he was able to distance himself and create his high art. This is the central tension at the heart of Griffith’s book: What responsibility does a creator have by placing his key characters into some sort of context? How responsible should he be for presenting the humanity of people different from himself? It’s easy to see the boundaries of that responsibility in the realm of gender or racial roles. It’s much more difficult to see those boundaries when the character being depicted has, at its center, a complex and unknowable world. Because Schlitzie gave few clues about his inner life, especially for a creator unable to perform deep research at the time, these boundaries are monumentally difficult to define. In effect, with Schlitzie, or Zippy, remaining a void, Griffith filled the character with the only depth he could provide: the artist’s own view of the world. Griffith was free to project himself on to Zippy because the protagonist of the strip had no easily discernible inner life, or at least no inner life which most people could comprehend. Zippy, in effect, became Griffith’s alter ego, albeit through a metaphorical (and sometimes literal) funhouse mirror. By the time Griffith had drawn Zippy strips for many years, the character at its center became a representation of Griffith in the same way Charlie Brown represented a side of Charles Schulz and Calvin and Hobbes represented Bill Watterson. Perhaps that identification of artist with his subject is precisely the point of this book. 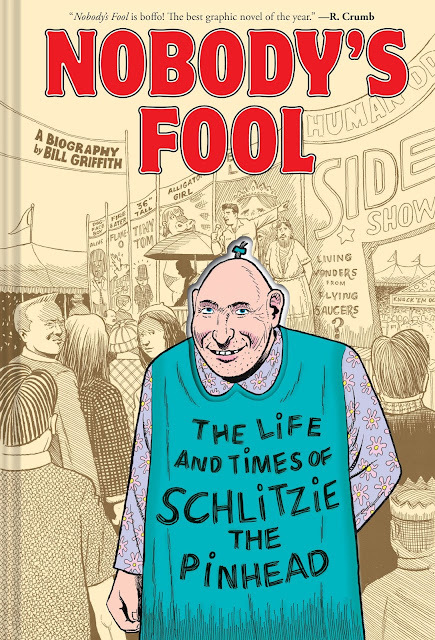 While the life of Schlitzie is the intellectual focus of Nobody’s Fool, its emotional heart is the life of Bill Griffith. With his previous book, Invisible Ink: My Mother’s Love Affair with a Famous Cartoonist, and this volume, Griffith is slowly publishing his own autobiography through the two figures who perhaps influenced his life the most. It’s an odd paradox that these two relationships are mirror opposites of each other. Griffith knew his mother intimately, but she kept secrets from his family. Griffith never saw Schlitzie in person, but he became his lifetime companion and revealed secrets from his own life. Together, these heartfelt and wonderfully rendered graphic novels are perfect companions for each other. Both revel in grotesquerie, period details, and, ultimately, in deeper human truths. They reveal Griffith’s life obliquely and illuminate the issues and people who shaped him with a deep thirst for knowledge and information in an attempt to reveal his own inner life to himself. 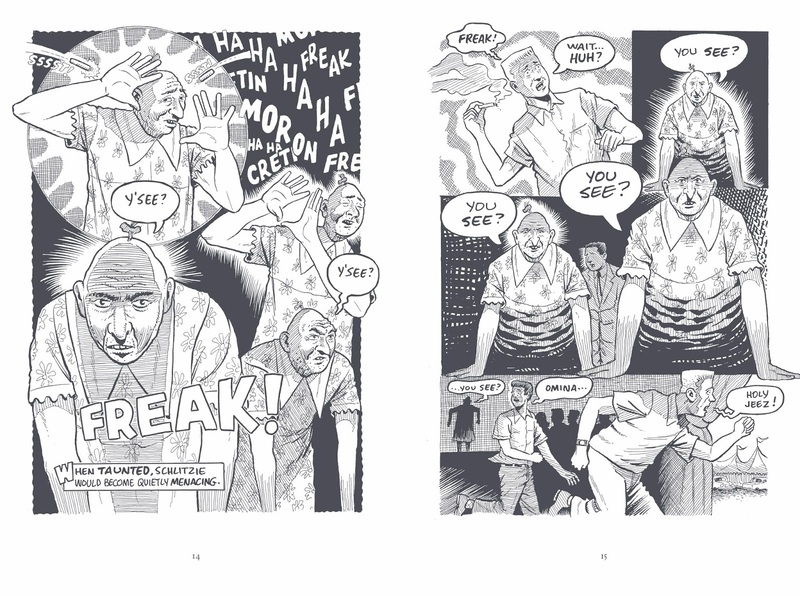 It’s a testament to Bill Griffith’s considerable creative skills that he is able to discover deeper truths about himself by exploring a man so unlike himself. Nobody’s Fool may seem a biography, but it is biography masquerading as a memoir.